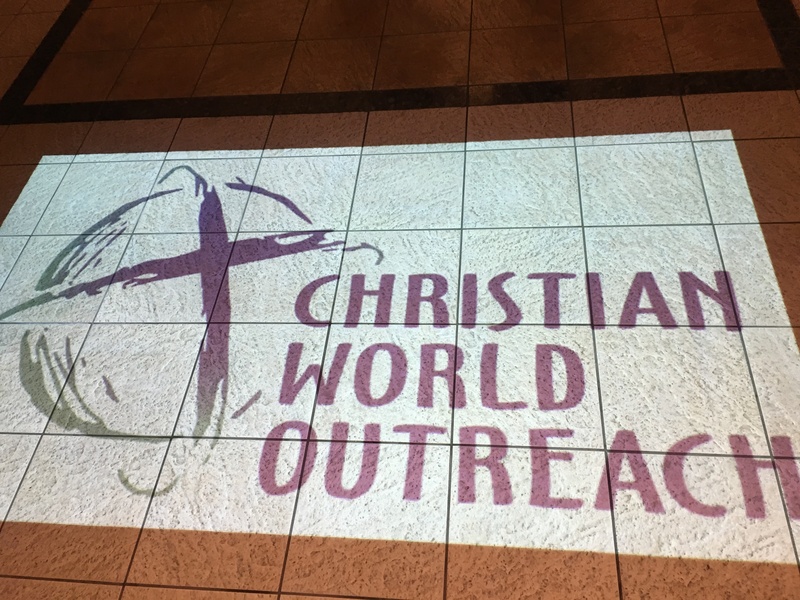 Karen Pasquariello was CWO’s first missionary living in Haiti from 1979 to 1981 and then again for a time in 1982. 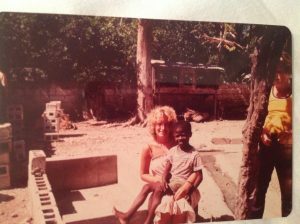 She recently shared her words and photos of that special time learning about Haiti and sharing about Jesus. 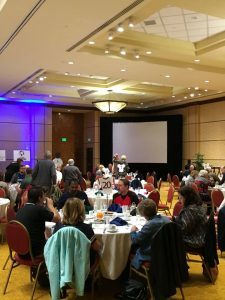 We’re grateful to be able to share this multi-part blog post from Karen. 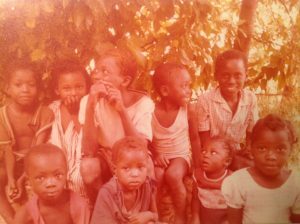 It was August 1979, I was sitting on a mountainside in Haiti. 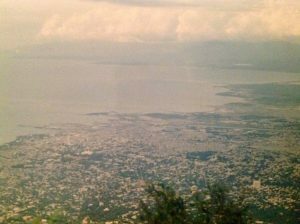 I could see the capital, Port-au-Prince, the azure blue Caribbean in the distance and miles of mountains. Someone once said of Haiti, “behind mountains are more mountains.” I went to the mountains to escape the hustle and bustle and blistering heat of the city. I took with me my Creole book so I could study the language. Then they came. 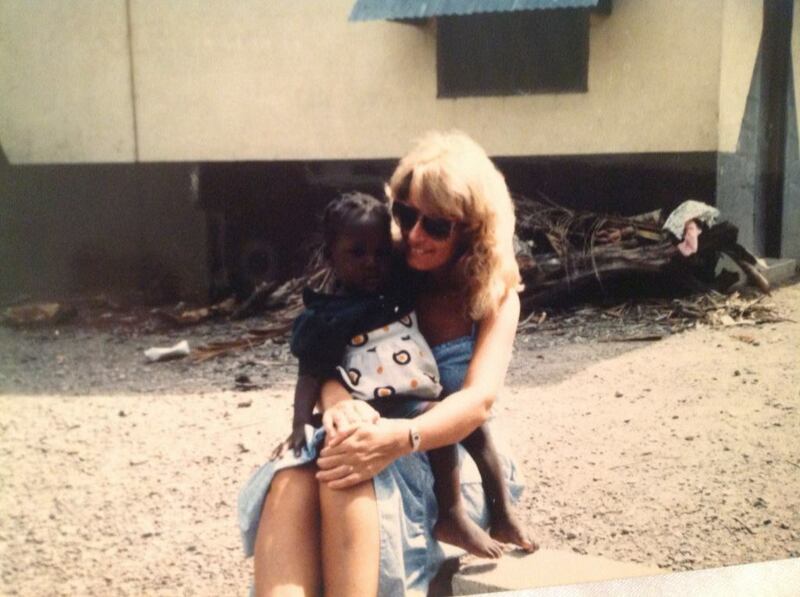 At first, they peeked around the bushes, one child after another, curious about this blonde, female blanc (white person). Their clothes were torn, one little girl had a man’s shirt on, hanging in shreds. One had the reddish hair of malnutrition. A little girl was scared, but she cautiously stepped closer and before long crawled onto my lap. They laughed as I practiced my Creole with them. It was a tender memory. I remember the wise words of Dean Yoder. He once told me when you look at the children and no longer feel compassion, it is time to leave. I am thankful that compassion continues to dwell in me to this day. 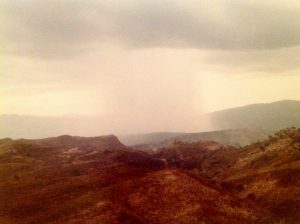 “Killer hurricane with 50 foot waves sweeps the island of Haiti … Worst hurricane in a century!” This was the news forecast in the U.S. My family and friends didn’t know if I was dead or alive. Raised in PA, we didn’t have hurricanes. The Haitian house I lived in was very open so I stayed with friends. We listened to the radio, tracking the storm, huddled in one room surrounded by supplies of food, water, blankets, and mattresses for protection in case the roof was torn off. In the midst of a raging storm, what thoughts go through one’s head? Will we be hit? 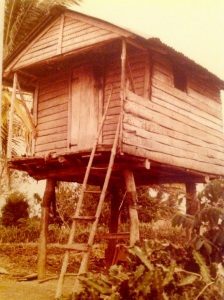 What about the Haitians who live in thatched roof huts and houses on stilts? How will they survive? I was surprised by the peace I felt. My parents were back in PA praying for the survival of their daughter. They couldn’t reach me by phone and feared the worse. But then my mother, as she prayed, had the same peace I was feeling. 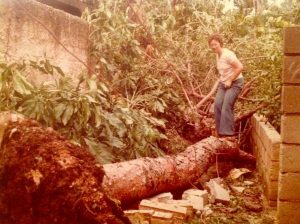 She said to my dad, “God sent her to Haiti, there is no safer place for her to be than in the center of Gods will.” Hurricane David steered away from our little island, we escaped the devastation of a direct hit. Thank you Lord! God, the giver of peace, even in the eye of the storm.